We Bring the Party Events - Premier Event Entertainment Co.
We Bring the Party Events is the premier event entertainment company in Middle Tennessee. Lean on our expertise and knowledge to help make your event amazing, while easing your stress! Planning an event can be stressful but we have the experience, knowledge, services, and staff to help take your event to the next level without you doing all the work. Do you need a DJ for a wedding reception? We have you covered. Do you need a Photo Booth for a church event or corporate event? No problem! 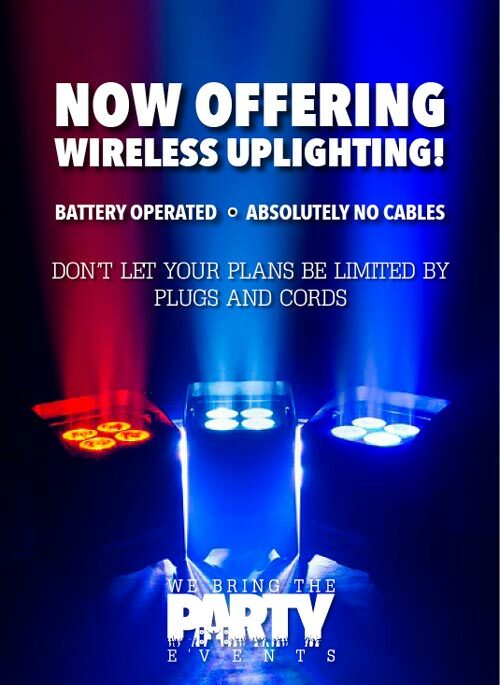 Need a DJ and Lighting for a school dance or prom? We can do that too! We Bring the Party Events can help create a custom solution for any event and help consult on any issues or questions that may arrise. While our specialty is weddings, we are also extremely well versed in corporate parties, reunions, school dances, military functions, etc. 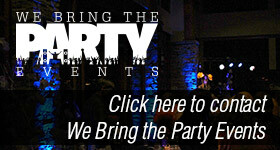 We Bring the Party to any event to which we are hired. Talk to us, and let us Bring the Party to your event!